My name is John and I absolutley love reptiles. 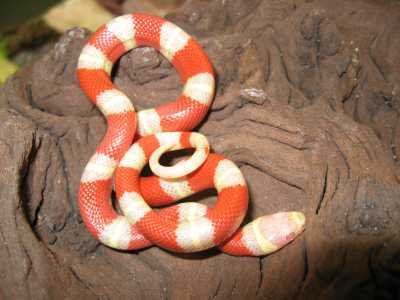 My favorite of them all would have to be snakes but more specifically the Albino Nelson's Milk Snake. I've had one as a pet for about a year now and would recomend this type of snake for beginners. If you are interested in purchasing a snake then you might want to check out these websites.